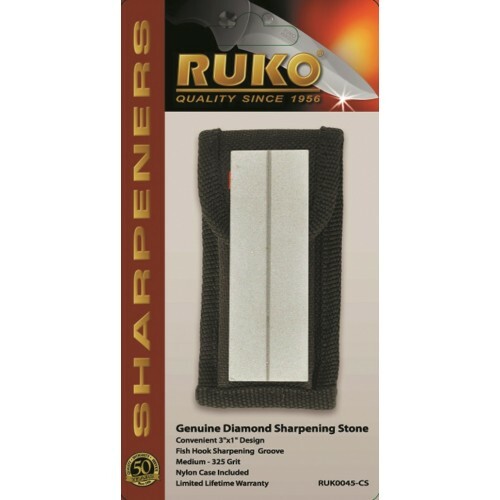 3" x 1" 325 Grit Diamond Sharpening Stone with Nylon Sheath. Quickly sharpens knives, tools and fish hooks. Supplied with Nylon Sheath. Comes in Clamshell Package.